After a bit of an Easter break, we’re back with an all new playlist! This week has everything; space, time, love, life, digitalism and new beginnings. I love travelling along the new music highway each week and plucking out the shining stars along the way. There’s always a few outlying stars that don’t quite make the cut, but they’re always to be found in the monthly playlist. We’re now into a new month (where’s this bloody year going? ), so you can check out my new April playlist, that fits in nicely with January, February and March! NOTE: Aboriginal and Torres Strait Island readers of this article are advised that it contains images and links to voices of people who have died. Collaborations are becoming bread and butter for artists lately and tbh it’s a great way to get exposed to new singers and to bring fresh life to existing groups. 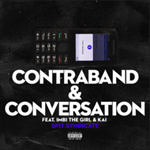 The boys, Nick and Jimmy at Spit Syndicate never sit on their hands, so it’s no surprise to see a new track, but this one, Contraband & Conversation is a hot jam. Not only does it feature Kai from the One Day bros, Jackie Onassis on the verse, imbi the girl sings on the chorus and it’s a sweet little package. Throw in some lyrics from ‘Everybody’s Free’ and it combines to a bouncing belter….and a new album has JUST been announced! Orbit is out on the 11th of May. Every year is Double S year! 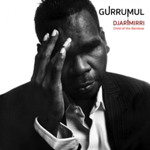 During his extraordinary career and unfortunately short life, Dr Geoffrey Gurrumul Yunupingu released amazing music. He had a way of bringing his culture into the mainstream that not many indigenous artists have done with his amazing voice, usually singing in language and providing a glimpse at an ancient time. Now, in death, we are presented with his last music, packaged and released by his label, Skinnyfsh Music and Manager, Michael Hohnen. Djolin, meaning Musical Instrument in his native tongue (using Gälpu, Gumatj, or Djambarrpuynu language), is the first taste of his posthumous album, Djarimirri (Child of the Rainbow), to be released alongside a new documentary at the end of April. With a theatrical score underlying it, there’s a sense that they’ve turned his music into somewhat of a fittingly dramatic finale for a hugely unique and inspiring character. 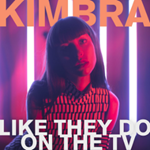 Things move into the pop realm with the latest release from Kimbra. This breezy new track, Like They Do On The TV, is another taste of her forthcoming album, Primal Heart. (due on the 20th of April) I love the airy beat, Kimbra’s perfect voice dancing over the top and the bass driven chorus. The new album, seemingly pushed back, is definitely getting more and more anticipated, with this song being the fifth taste from the album. Whilst we think we know what we’re getting, there are reportedly collabs with Childish Gambino and Skrillex on the long-player, so there’s more to look forward to! When I heard the news coming out of Bluesfest, that a jaded Harts is considering quitting the music scene, I was bloody shocked. Following a particular set at the great festival, the prodigiously talented guitarist, singer and songwriter smashed a beloved Fender Stratocaster on stage and stormed off. It wasn’t staged and wasn’t intended. A burst of anger and tiredness caused him to do it and he’s also indicated that it may be his last major music festival. Why would one of Australia’s most talented guitarists walk away? In a quote on his socials, he’s said “I pour my heart and soul into everything I do, and last night a bit of frustration came out too. 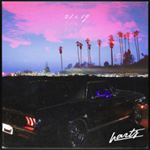 Life goes on and I will soldier on” There are, apparently, a couple of albums already under the belt and they will still be released this year, so here’s hoping things turn around for Harts personally and that his music still reaches out to people. This ultra smooth track, 21&19, is a laid-back, cruisey delight. It brings Harts into a new realm which is where we may see his music travelling in 2018 and hopefully, beyond. An artist that jumped onto my radar last year was the wonderful Sudan Archives. If you’ve never heard of her, go back and listen to her self-titled debut EP of 2017 and you’ll be on board. From L.A., Brittney Denise Parks, has re-invented herself and taken a path rarely taken by a new artist and explored her roots and picked up a new instrument along the way. Teaching herself violin as a young woman, we hear her skill on the string at the start of this new song, Nont For Sale. It’s a plucky (pun intended) tune that pulls on African influences as well as, in her own words, “It’s inspired by my love of fluidity, movement of jellyfish and water.” Look out for her new EP, Silk, due in late May. In keeping with the string theme, this track starts with a beautifully nuanced cello before we hear the warm voice of Jack Carty and harmonising violins and violas on top. 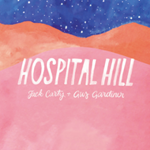 Hospital Hill is the title track of an album that Jack Carty has created, teaming up with Gus Gardiner of Papa vs Pretty heritage (and cello skillz!). The beauty of the strings, along with the flow of the personal lyrics creates an image of whimsy, memories and another world, hopefully just what Carty and Gardiner were looking for. Simply superb. Dusk, Dark and Dawn. They’re the three parts of SG Lewis’ debut album(s) and after hearing Aura a month or so ago, I was bloody hooked. Now, the first part has come out. 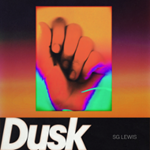 Dusk. Part of this is the two-part Sunsets. Pt. 1 eases you into the release. Minimal at first before kicking in a pretty dank beat, but it’s Sunsets Pt. 2 that infiltrates your senses. I’m a sucker for a retro beat with and prominent bass drum but it’s the chorus in this track that is the kicker. Simply beautifully put together and something that will fill dance-floors around the world. 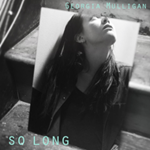 We come back home now for a new track from Georgia Mulligan. This minimal indie track, So Long, from the Sydney native builds on her steadily increasing repertoire. This introspective walking pace track showcases Mulligan’s smart songwriting with touching narratives and personal unique touches, which this song shows; about halfway through, taking a little left-hand turn. Layered vocals, a dual tone sparse rhythm and glistening guitar round out a special little track and builds Mulligan’s exposure on the Sydney and national indie-folk scene. 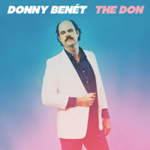 Donny Benét is The Don, in not only the title of his brand new album but in everyday life. He has built such a persona through his ultra-smooth music, his clever retro-style music, but mostly his caricature of himself that he stands out in any crowd. Benét’s live show is something to behold. Whether it be playing his bass over a backing track, or with a full band, Donny brings the vibes, the smiles and the groove. Look, his voice is somewhat of an acquired taste. It’s not your normal delivery and, well, he’s no Jack Ladder (ie. who he plays with in the Dreamlanders), but it fits the style that he’s created. Love Online is a splash of sun, a glint in your eye and a smirk on your lips. Just go with it and have fun. I think it’s fair to say that spoken-word and poetry are having a renaissance in Australian Music. Odette proved that with a break-out year in 2017 and now we have Nardean a Sydney poet, spoken-word artist and rapper. 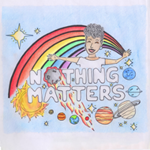 She has been killing it poetry slams (NSW finalist in the Australian National Poetry Slam) and has now delivered a single, Nothing Matters from her upcoming debut EP. It’s a glitchy, fun track from an artist that is trying something a bit different. The ultra-chill beat underlies a science-laden space odyssey. It’s unique and fresh and makes me really wish I’d taken more notice in Science class. Look out for her Creatress EP later this year.